Guest Post: Stephanie Crowley on "Girls Kill Nazis"
Pictured, left to right: Jennifer Sorkin, Heather Mae Steffen, Pear Theatre founder Diane Tasca, Stephanie Crowley, and Jim Johnson. For the past few years, the Pear Theatre has hosted a new play written by James Kopp, a local thespian with a unique voice — recent works include “Geeks vs. Zombies” and “Supervillain! !” I’ve seen every one of his plays, and now I have the good fortune to be in one. Some people adore Kopp’s shows, others can’t stand them. He writes with an offbeat style, a naturalistic tone that is sometimes at odds with his subject matter. His humor is dark, his shows often packed with stage combat and copious amounts of fake blood. And he loves writing works that touch on pop culture and very topical issues. Yes, the title is reminiscent of a bad 50’s B-movie and, like all Kopp plays (and befitting the title), there will be ample evidence onstage of horror-movie violence and gruesome trophies, as well as plenty of laughs along the way. And while some may come see and enjoy this play based on those facts alone, they will also find so much more to the story. Girls Kill Nazis asks questions that are devastatingly current: how do we handle it when lifelong friends and partners suddenly take moral and political positions that are unsupportable to us? What can women do in a society that is encouraged to dismiss and demean them? When a government is increasingly oppressive, at what point do we abandon civility in pursuit of justice? When laws become immoral, is it moral to become a lawbreaker? And most poignant of all: are your true friends the ones that always agree with you? The ones that believe as you do, and support your pre-existing notions? Or are the best people in your life the ones that challenge you, argue your beliefs and values — while still listening, respecting, trying to understand, and having your back when the chips are down? They say in theatre that every character in every play must change, from the beginning of the play to the end. In some plays this is a very large and dramatic change, other times the change is so small that only the actor sees it consciously. My character, Ruth, has been shattered by heartbreak and despair: pushed to become a lone wolf, a hardened warrior driven by anger and determined to mete out her own version of justice. During the course of the show she learns how to open up again, to trust and rely on those around her; making her less certain of her dogma but also less alone in her fight. In the end she will discover there were good people all around her, all along, which, to me, is James Kopp’s particular genius. Amid the spectacular stage combat and spectacle we are reminded that what really matters is the people around you. That at times you can, and should, choose your tribe — and perhaps most especially when the world around you is in chaos, and danger looms on every horizon. That if anything can get us out of an apocalyptic mess, it will be the bonds of respect and affection that we nurture, the people who challenge us to be better than we are. Girls Kill Nazis is a world premiere, previewing Thursday (11/8), and opening Friday night (11/9) at 8pm! 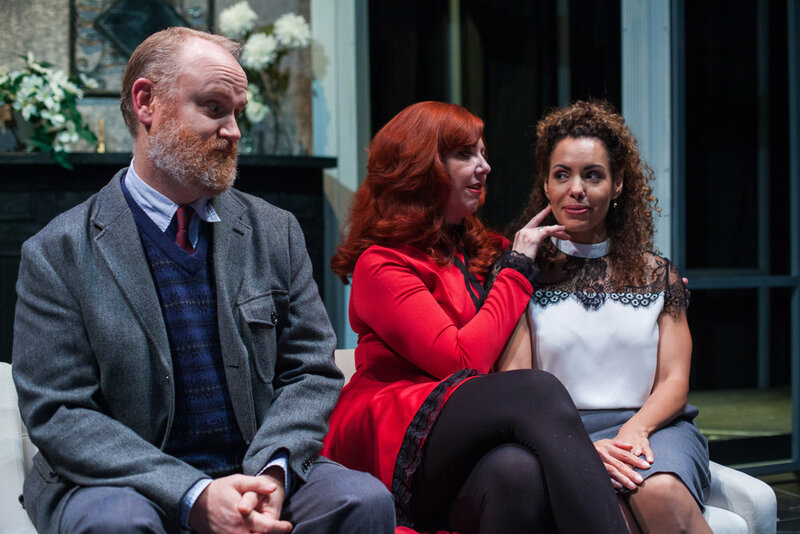 Pictured, left to right: Maria Costello, Director John Morrison, Jennifer Sorkin, and Stephanie Crowley. Hedda Gabler TBA Recommended, and getting rave reviews!! 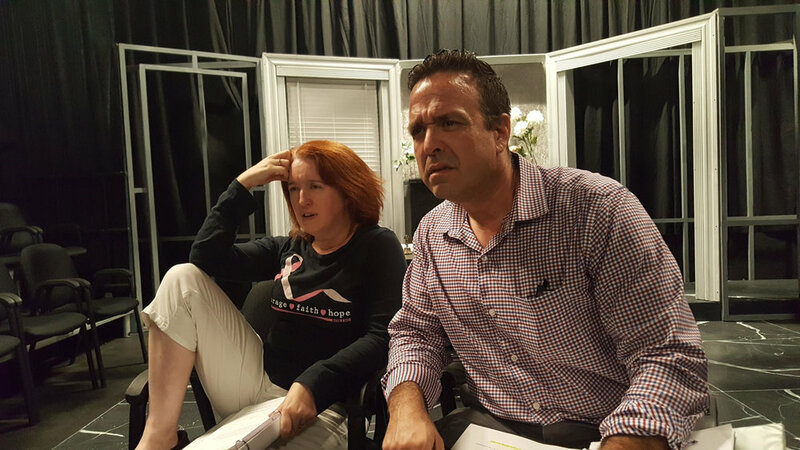 Congratulations to our Hedda Gabler production team for receiving a TBA recommendation! TBA, or Theatre Bay Area, was founded in 1976 to serve the vital artistic community of the Bay Area, and is today the largest regional theatre service organization in North America. It’s mission is to unite, strengthen, promote and advance the theatre community in the San Francisco Bay Area, working on behalf of our conviction that the performing arts are an essential public good, critical to a healthy and truly democratic society, and invaluable as a source of personal enrichment and growth. This is the production’s last week, so get your tickets now before it’s too late! You’ll be sad if you miss it! To better keep you up-to-date on our activities and events, we're happy to announce the launch of our new blog! You can look forward to 1-2 posts each week, with the latest news, interesting insights and enticing morsels, and recommendations & announcement. To kick things off we'd like to announce that for two of our performances, Thursday Oct 18th at 8pm and Saturday Oct 20th at 2pm (matinee), we are offering a special. Use the code GABBA2FER to access a "Buy One, Get One Free" offer, online and via our box office number! Online Ticket Sales are available here.